My husband found a mini bag of Cheetos Oven Baked Flamin' Hot in a vending machine when he's in west coast. 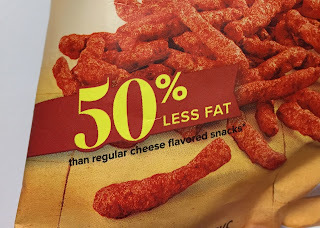 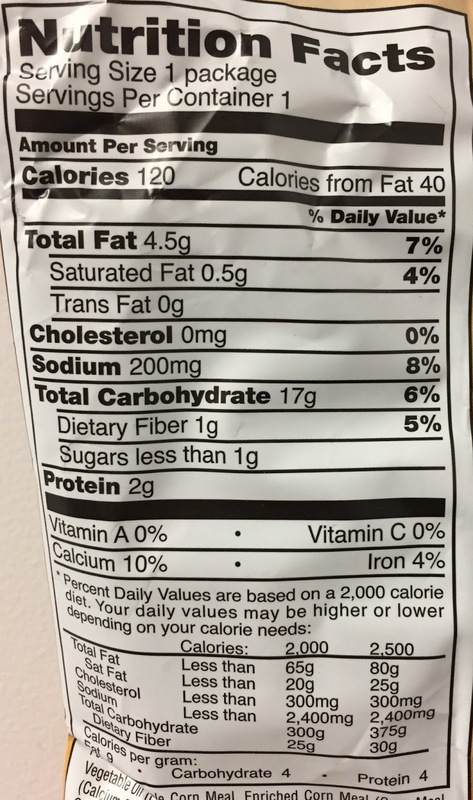 It contains 50% less fat than regular cheese flavored snacks since it's oven baked. 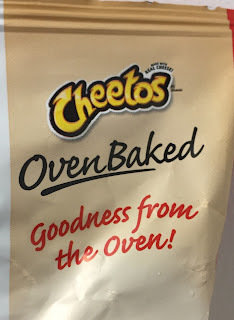 Cheetos inside was dusted in bright red powder. The bumpy shape was the same as regular Cheetos. 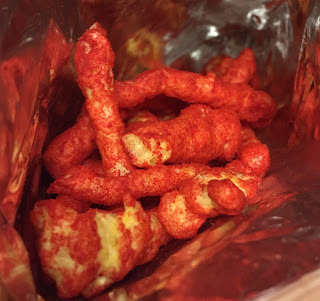 The red powder was light and fine, and it made my fingers red. 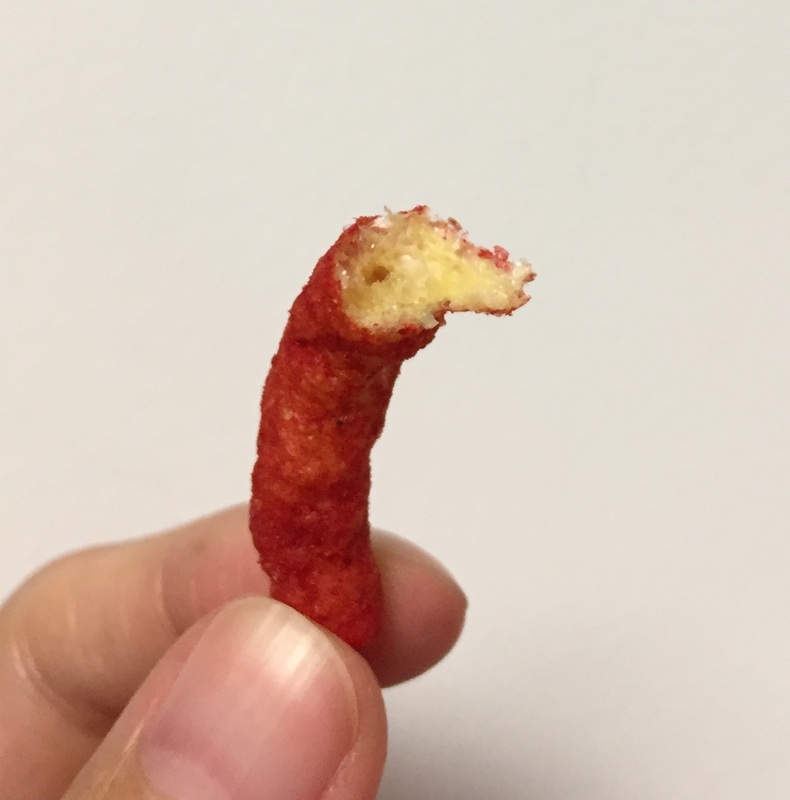 Oven Baked Cheetos are much crispier than regular Cheetos that are fried. 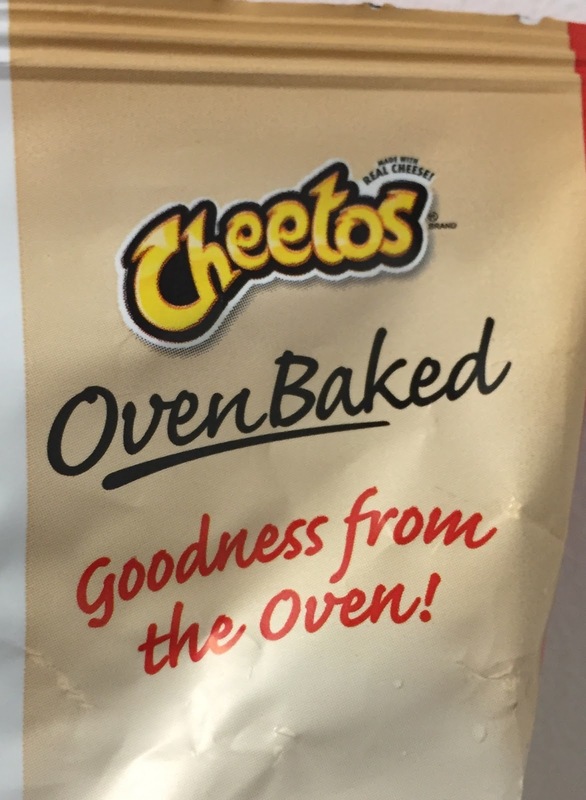 I like Oven Baked version a lot more as they taste less greasy and for the crunchiness. 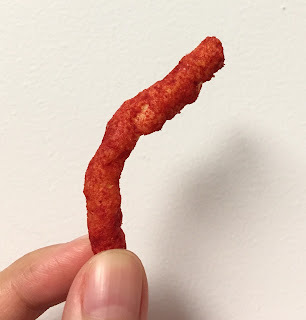 The spiciness was stronger than I thought and the red pepper heat directly landed on my tongue. 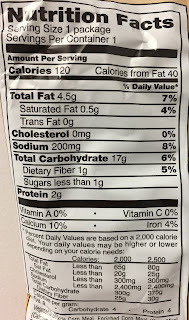 As the powder was easily swallowed, I time to time coughed due to the dryer powder but not the heat. The ingredients list said cheddar cheese but the spiciness was so strong that I didn't taste any cheese.